Mower County, MN Land/Building Site Auction - 74± Acres - SOLD!! 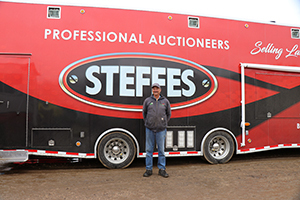 - Steffes Group, Inc. Mower County, MN Land/Building Site Auction - 74± Acres - SOLD!! Mower County, MN Land/Building Site Auction - 74± Acres - SOLD!! AUCTIONEER'S NOTE: 74 Acre Homesite just 11 miles Southwest of Spring Valley, MN. This 74-acre tract of land features approx. 56 acres of highly productive farmland along with the current home site with approx. 18 acres of woods and pasture/lowland.